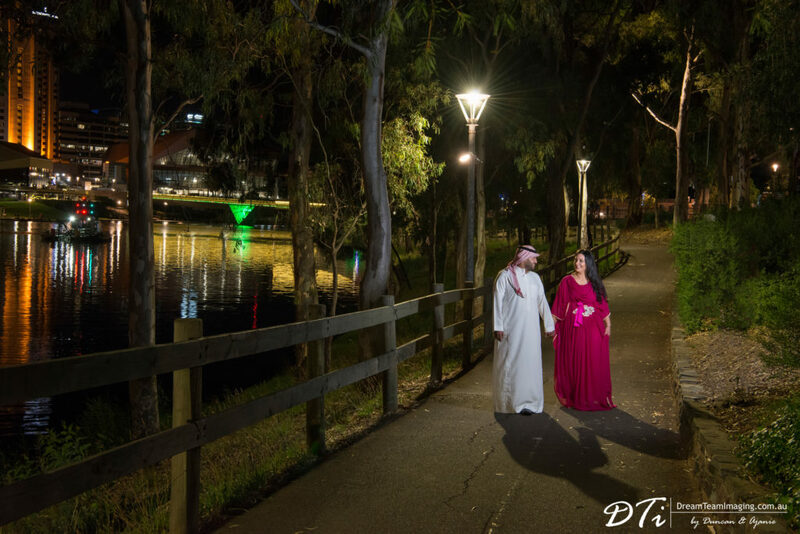 So much fun by River Torrens with Kelly & Abdul! When Kelly informed us what they are going to be wearing for their pre weddings session we were quite ecstatic. 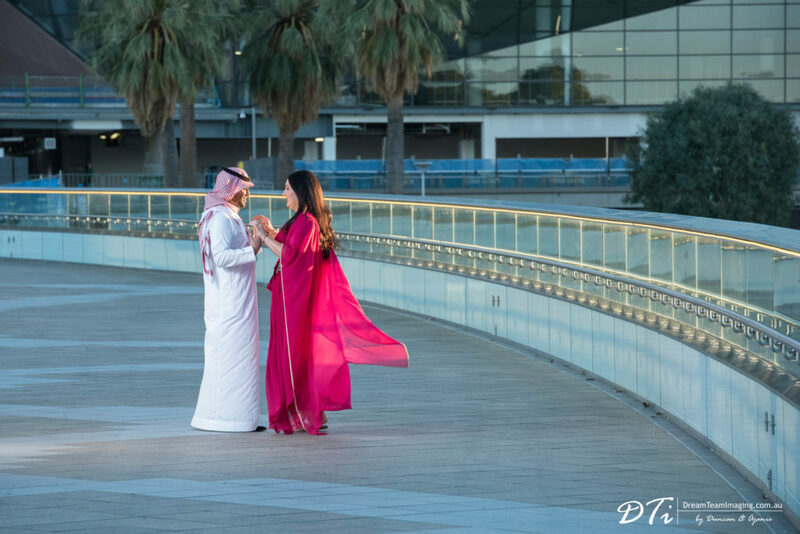 It is always exciting when we get to photography couples in elegant outfits or even ethnic attire. Abdul, respecting his Arabic roots decided to wear a Thawb (traditional Arabian clothing for men) and Kelly was in a beautiful traditional Arabic dress which was a gift from Abdul. 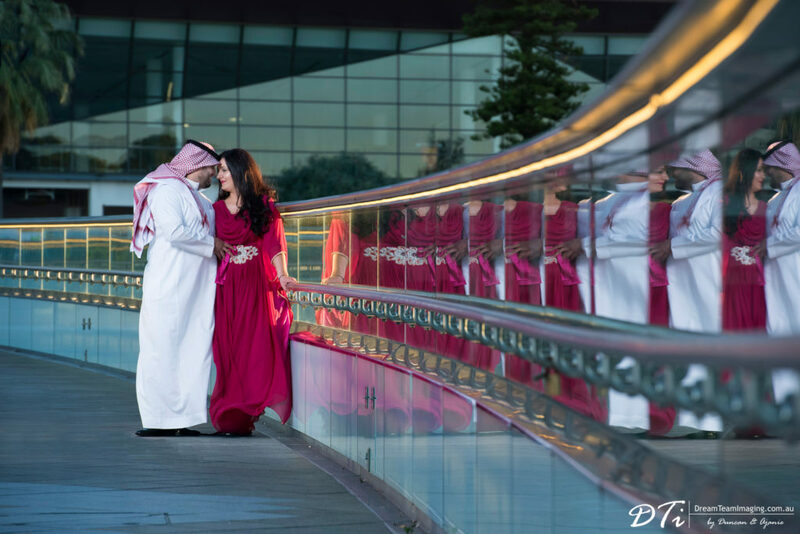 They decided on a dusk pre wedding session capturing the city lights and the foot bridge to the oval. 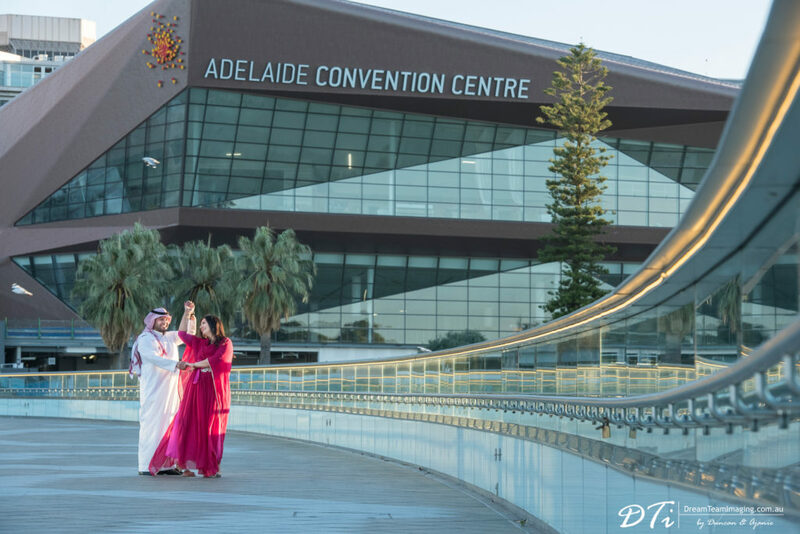 We had so much fun photographing Kelly & Abdul completely loosing track of time. Adding to the fun factor, we had passersby taking pictures of our couple too. At one point a car stopped by the side of the road whilst the occupant took pictures. Kelly and Abdul truly felt like celebrities :).